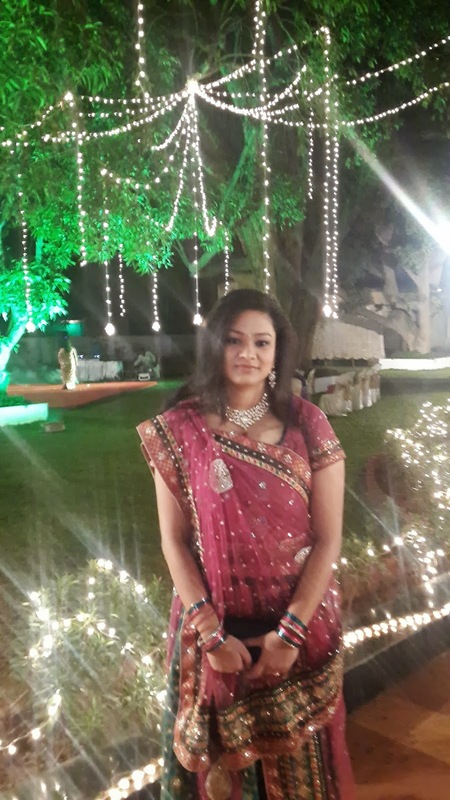 There was a ring exchange ceremony followed by partying & dancing.. 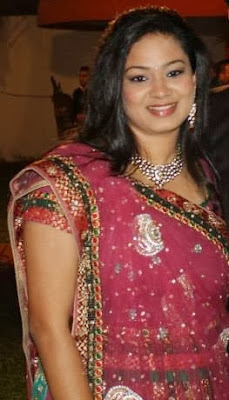 I thought I ll wear my Sangeet Lehenga since I did not get any occasion after that to wear it again... 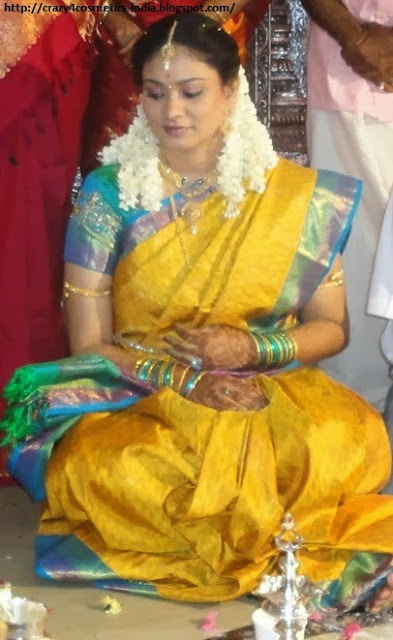 I wore a kundan set, did my own makeup & went to a salon called Fushions in Kammanahalli, Bangalore. I shall do an eyemakeup tutorial soon. I had some time for shopping in the morning & ventured into a shop called Samyakk & bought 2 salwar materials and a beaded necklace from a roadside shop... find the pic below.. 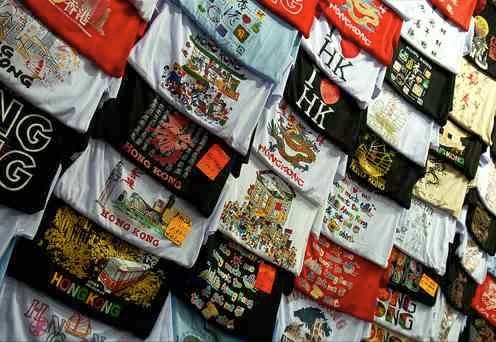 The ladies market is located on the Tung Choi Street in Mongkok which is part of Old Hongkong. 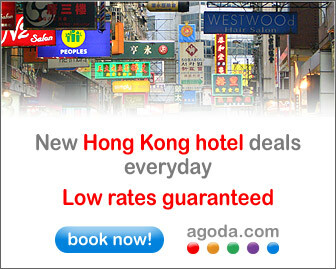 This whole place is so lively, colorful at all times and is one of the most densely populated areas in Hongkong. 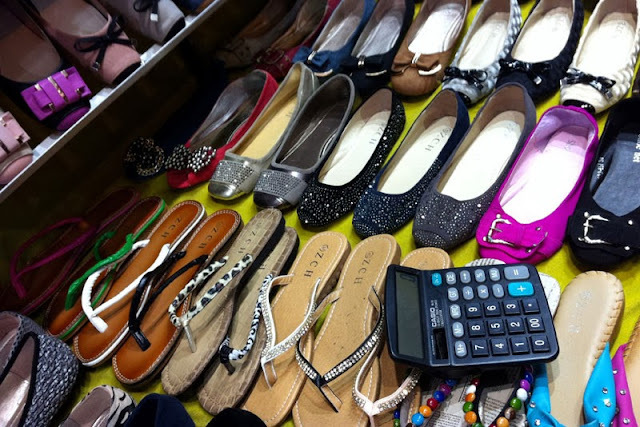 The ladies market is famous especially for leather goods, apparels, souvenirs and good street food all at very affordable prices.. 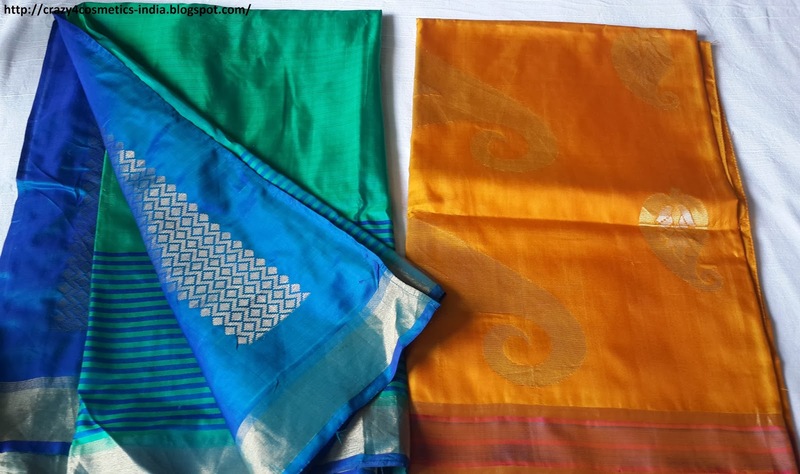 The market is flooded with small shops all selling almost similar items but at different prices, hence one needs to be careful that we do not overpay for any item. There is also a flower market & gold fish market close by to ladies market, but we did not have time to check them out. Mongkok Market, Hongkong- How to get there? 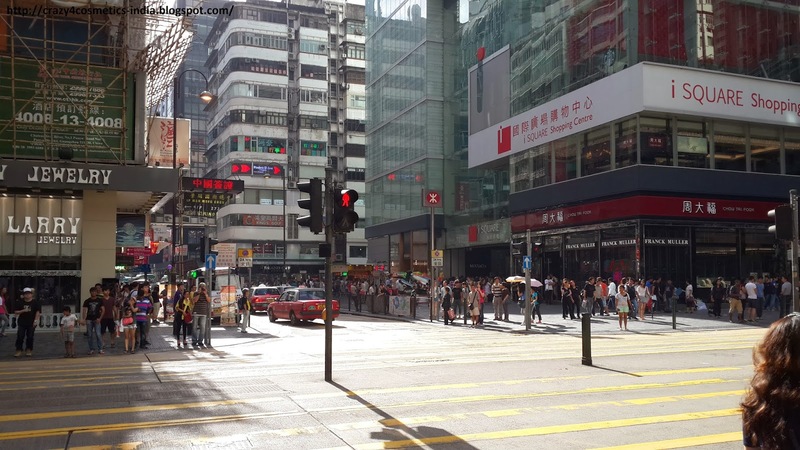 The ladies market is about 5 mins walk from Mongkok , Mongkok East & Yau Ma Tei stations. Depending on the line you take you can get down at any of the 3 stations & follow the exit signs leading to Ladies Market. 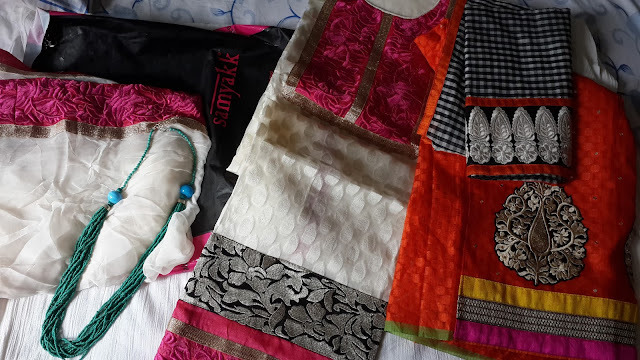 Mongkok Market Hongkong-What I bought from Ladies Market ? Branded perfumes are a much cheaper there than India especially brands such as Estee Lauder & Dior. You need to start bargaining from at least half the price of what is quoted in the local street markets which will allow you to get a good deal. Bonjour & Sasa have sample branded perfumes for sale.. Those who want to try out many brands can buy them. Face masks are a must buy from Bonjour. Skincare products are better than cosmetics in Hongkong. This is one among the most recommended things to do while in Hongkong and we were unable to do the same during our first day due to foggy / smoggy weather. Thankfully we finally got the opportunity to cross the Harbour while heading back to the hotel. 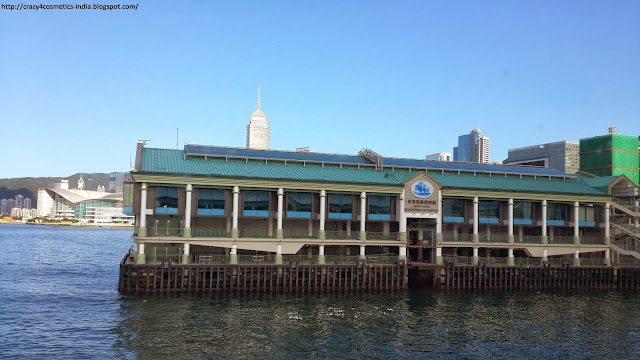 We took the ferry from the Hongkong side to Kowloon and thanks to the clear conditions we enjoyed some breathtaking views of the Hongkong skyline during the 10 minute ride. Really something not to miss and if I had more time would have done it again and again!!! I felt terrible to leave this lovely country and to get back to work the next day after such a beautiful vacation. 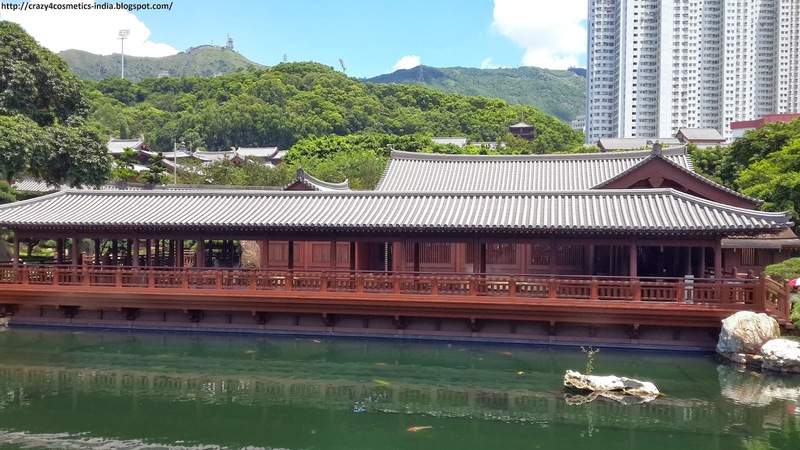 The Hongkong International airport is located on Lantau Island and it might take more than an hour to reach by taxi or bus. So we decided to take the Airport Express train from Kowloon which would reach the Airport in half an hour. Like in Delhi we can check in our baggage at any of the stations where Airport Express Train stops ( Hongkong, Kowloon and Tsing Yi ). We checked in our luggage at the Cathay Pacific counter in the Kowloon MTR and proceeded to the Airport Express Train & reached the Airport pretty early. 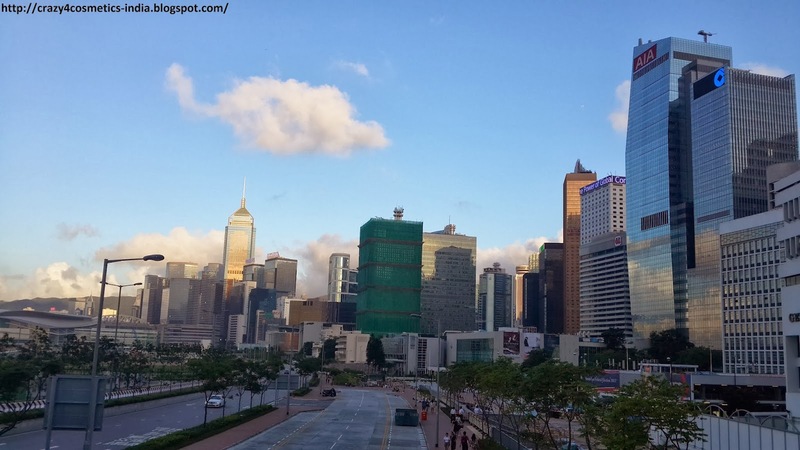 Our last day in Hongkong dawned bright and sunny and what a week it has been. This small little country has really captured my imagination and I have enjoyed every minute of my stay here. On our last day we had loads planned as our flight was only departing at 10 :30 in the night. So after a relaxing early morning swim and some light snacks (we were saving up for the big lunch) we checked out and bid farewell to Eaton Hongkong. Eaton Hongkong is probably not the most luxurious we have stayed at, but we did enjoy our 5 day stay. 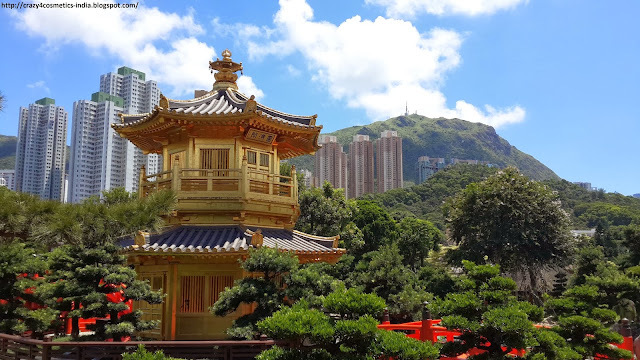 A serene 33000 sq ft lush garden built in 1934 with a Nunnery, Buddhist Temple and vegetarian restaurant located among the hustle & bustle of the Kowloon city. The entire Nunnery and Nan Lian garden Hongkong was built based on Tang Dynasty Architecture where no iron nails were used & the complete structure was made using wood. 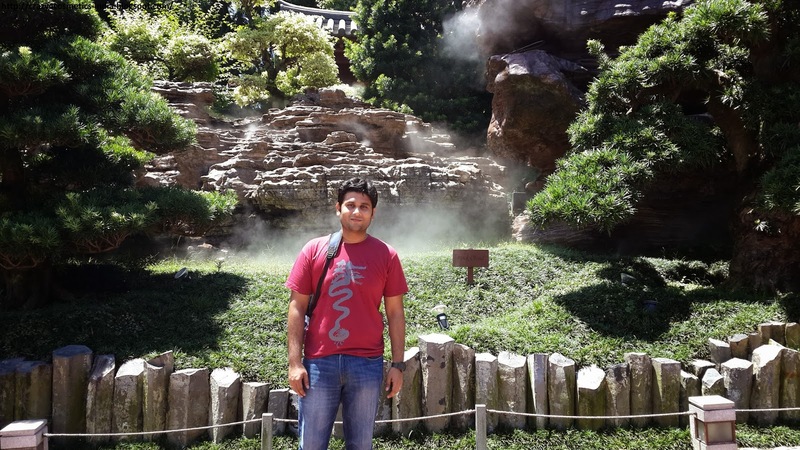 Chi Lin Nunnery and Nan Lian Gardens Hongkong- How to get there? The best way to get there is via the MTR. 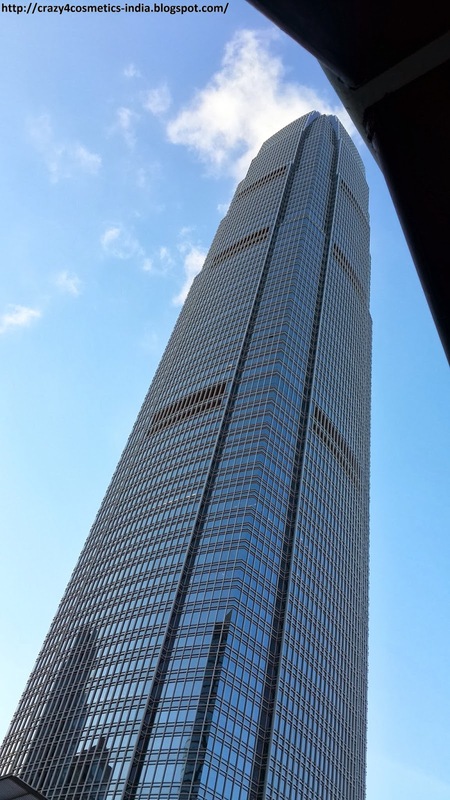 From any destination take the MTR to Diamond Hill station which is on Kwun Tong Line. Entrance to garden is about 5 minutes walk from exit C2 (Plaza Hollywood) at 60 Fung Tak Road (under flyover). There are tourist direction signs from the station exit. We took some pics around the Nan Lian Gardens with the sky scrapping buildings as background and the Hall of Celestial kings where statues of Sakyamuni Buddha are located. 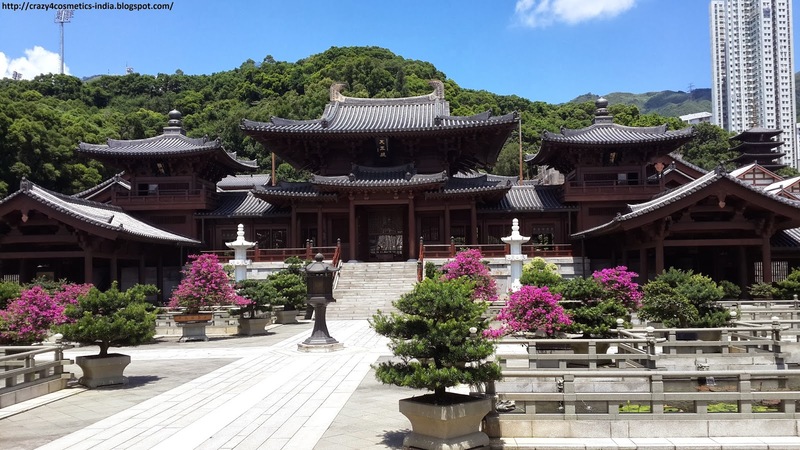 We prayed in the temple & roamed around the Lotus Pond & took beautiful pictures. We had an excellent lunch at the vegetarian restaurant inside the Nunnery which served Authentic Chinese Veg food. 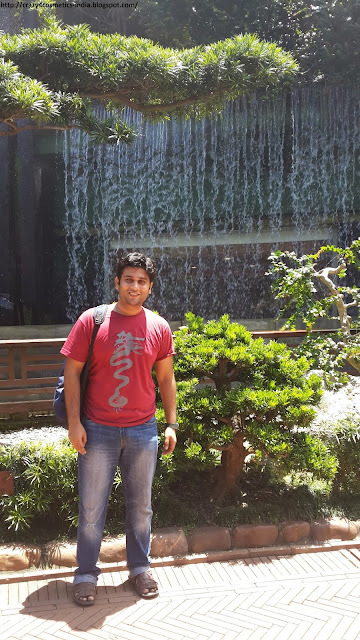 The backdrop of the restaurant was an artificially created small waterfall. It looked as though we were sitting a midst mountains. 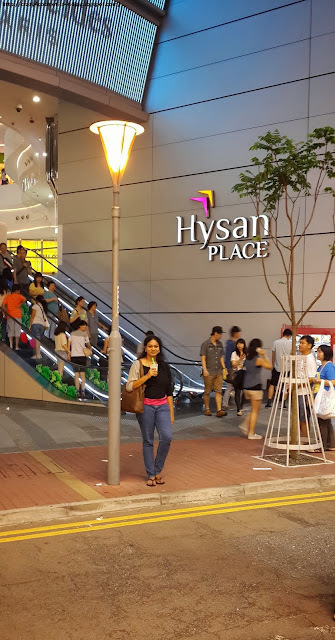 We left the place after spending sometime there & headed to Mongkok for some shopping in the Ladies Market…. I am asking this question to myself : "Can I ever say No/Enough to Clothes or Jewelry or Cosmetics?" No I cannot, even if I do,The Man knows that I am trying not to burn a hole in his pocket. 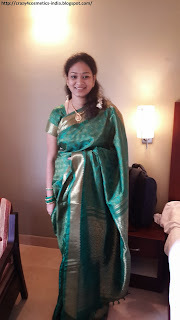 Well that is how a woman is wired I suppose..Being a South Indian Tamil girl , the thought of Kanchipuram Pattu(Silk)Sari or Paavadai(Skirt) revolves around you the moment you are born. 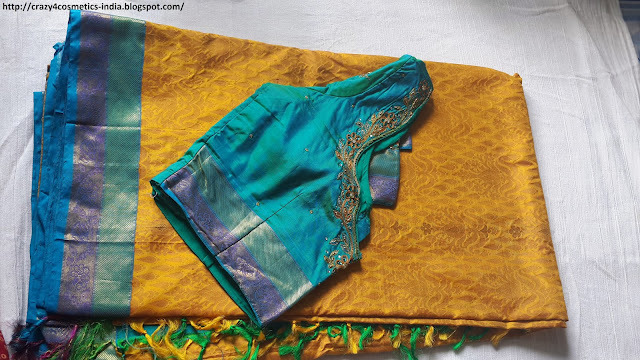 It starts with pattu paavadai for your Birthdays, Half Sari when you are in your teens, & Sari when you are getting married. When you set out for bridal sari shopping to Kanchipuram,you are accompanied by your entire family, its kind of a picnic for the men & a day full of excitement for the women. 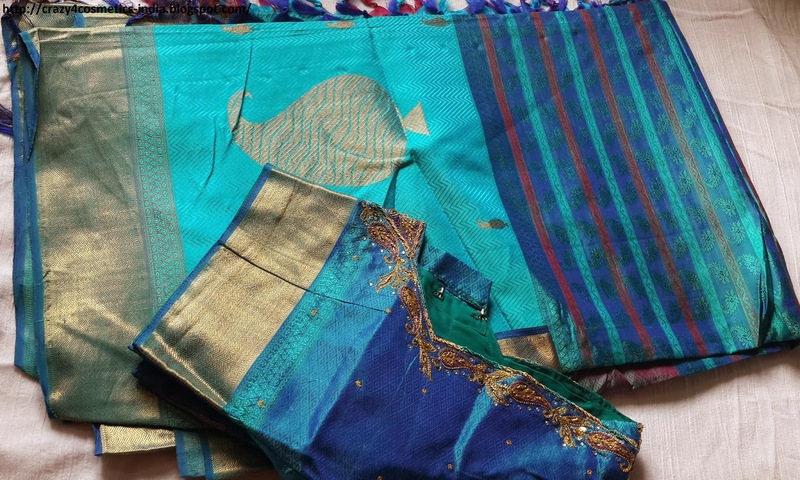 I do not have the Sari with me... But the pic where I am wearing it. 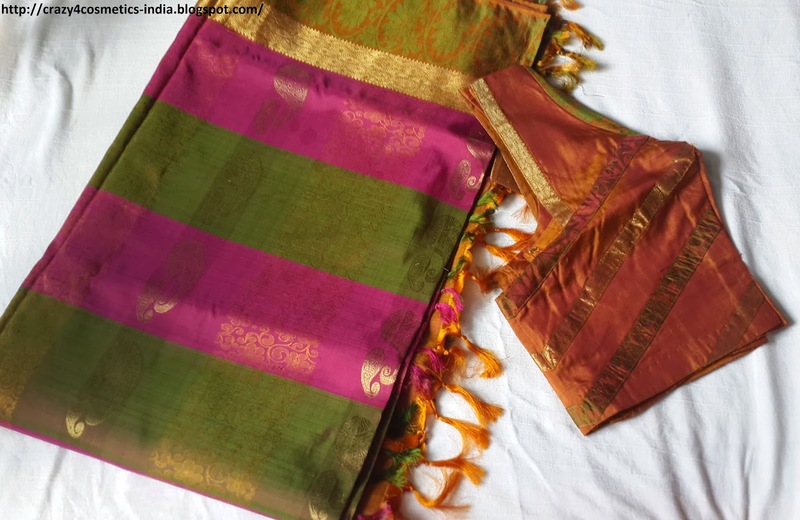 Both the engagement saris were bought from Kanchipuram , the first one from Prakash Silk Sarees & second one from Babu Sah. 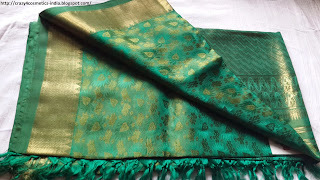 4: Wedding Sari No 2 (Grahapravesham) When the bride goes to the Husband's house. 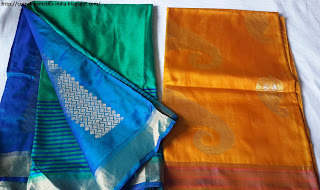 There are 2 more for which I do not have pics & they are not with me..... Am sure am not gonna stop my Silk Sari hunt with this & it would continue.. I recently bought Kryolan TV Paint Stick Foundation in the shade FS 42. 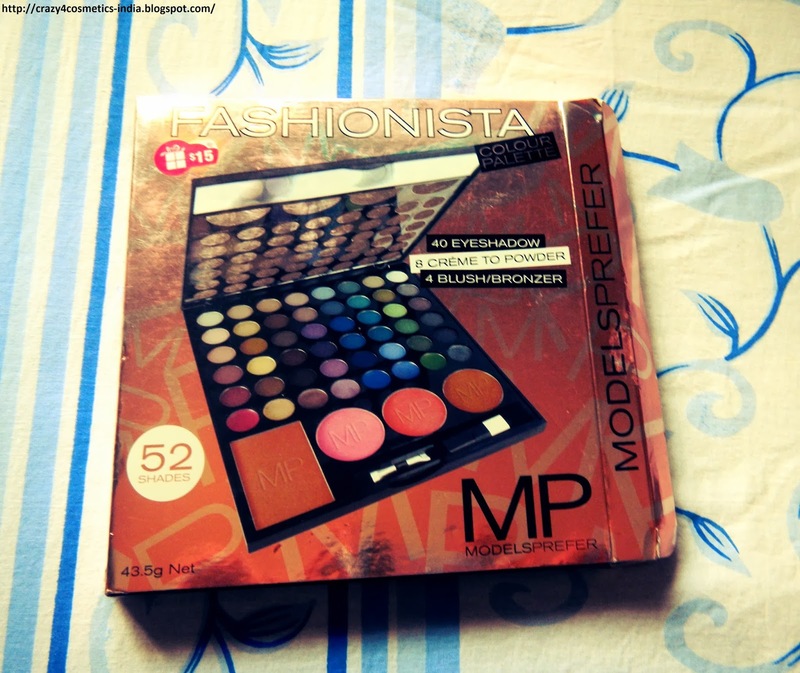 I really loved this foundation & you can read its review here. Too much of travel (only in my posts), so kind of tired..So thought I would write something for makeup too.. That is what my blog says right, All about Makeup, Travel & Shopping..
My best friend was coming back from Australia after about a year and she had asked what I had wanted from there. 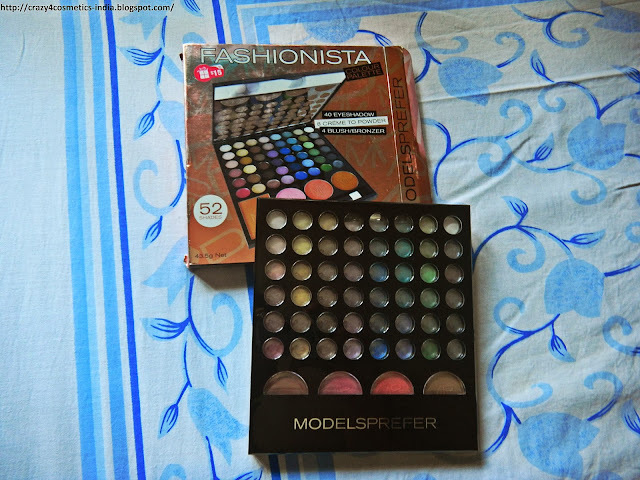 I wanted her to get me some cosmetics from Australia and not the usual ones we find here or online. She knows I have this weakness for eye shadows and she bought this Models Prefer 52 Color Palette. It comes in a very sleek black plastic case which is very compact & attractive. It has 40 powder eye shadows, 8 creme to powder eye shadows, 2 blushes, 1 highlighter and 1 bronzer. It also has an eye shadow applicator, a blush applicator and a small mirror on the inside.The shadows are only about the size of the US 20 cent coin. Powder Eye shadows : The palette has different variations of pink, gold, brown, blue, green, grey and purple.Predominantly the shades are pearl finish,soft textured, and not very vibrant (suitable for office wear). There is one matte highlighter shade and 2 glittery eye shadows. 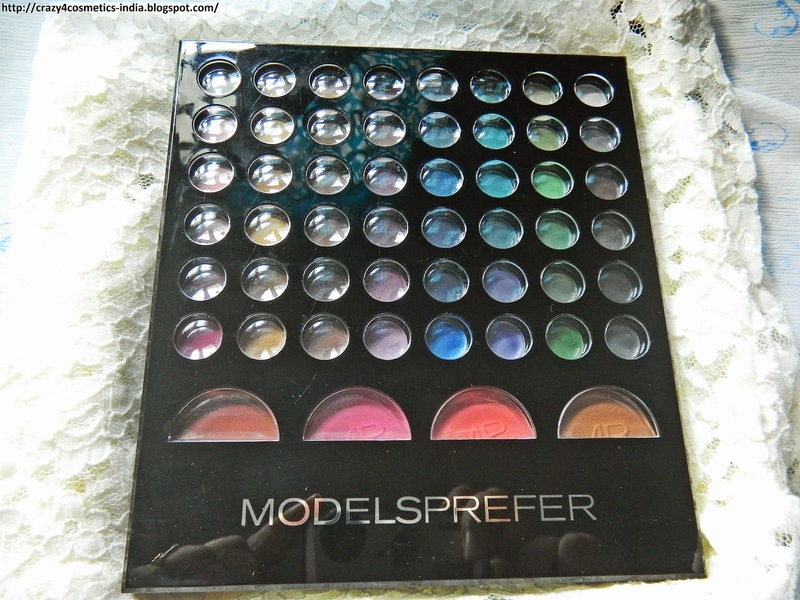 Creme to Powder Eye shadow: One color each from the list of shades mentioned above which can be used as a standalone shadow or used as a base for better color payoff. 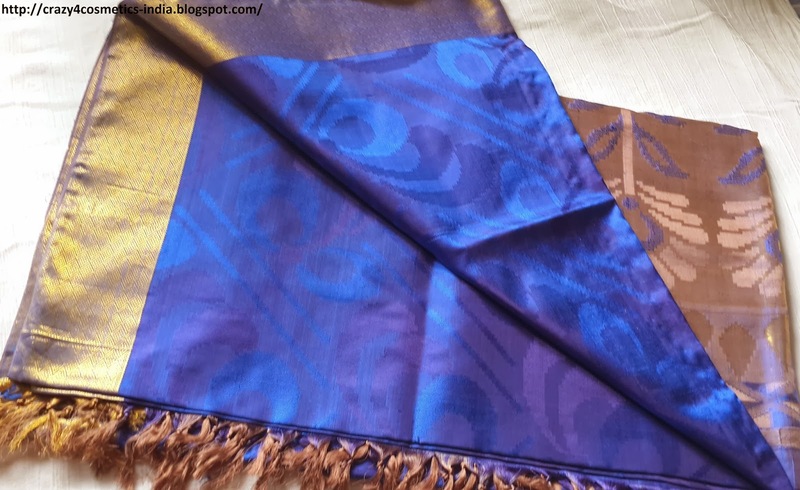 The colors are very vibrant and have a smooth texture. Blush: One pink & one coral color blush of which the pink one has very fine glitter particles(suitable for night time) and the coral color is a matte blush(suitable for daytime). Highlighter & Bronzer: The highlighter is a Golden-Bronzy Highlighter shade & the bronzer is a reddish brown matte bronzer. 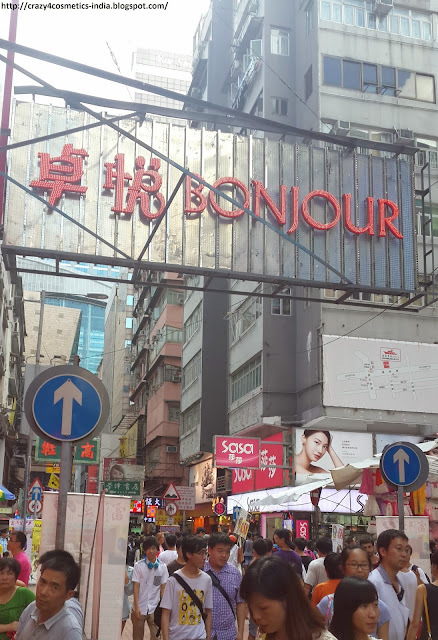 Shopping at Tsim Sha Tsui was initially not a part of our plans, but we had seen some great Bonjour and Sasa showrooms very close to Tsim Sha Tsui MTR station exit and decided to give it a go. 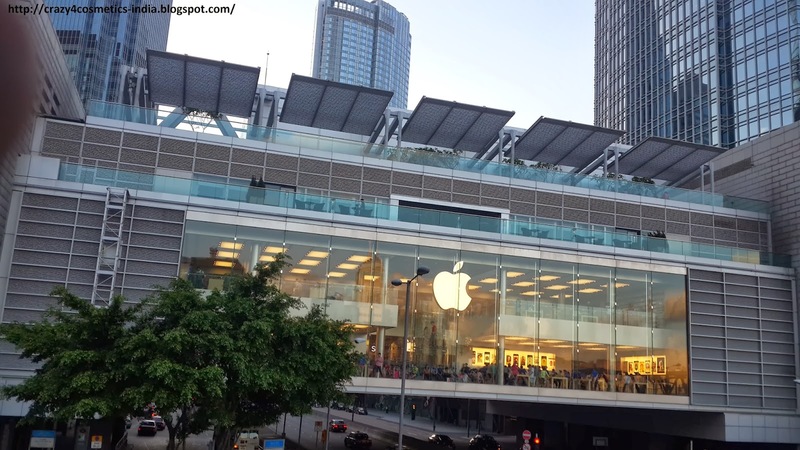 This turned out to be a very good choice as we later found out that shops in Central and Causeway Bay were more expensive. Hongkong is such a bustling place and there is no better place that truly captures its spirit than Tsim Sha Tsui either in the day or night. If you do not like crowds and colourful signs this may not be the place, but for us it was such a great experience as we loved the vibrant atmosphere. 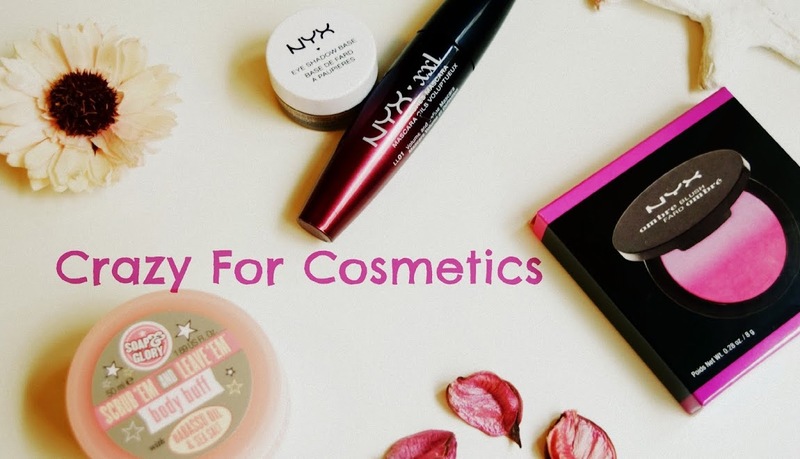 To take a look at my Hongkong Cosmetic Haul please click here. The name says it all.Central is really the centre of Hongkong where all the fun and excitement is. 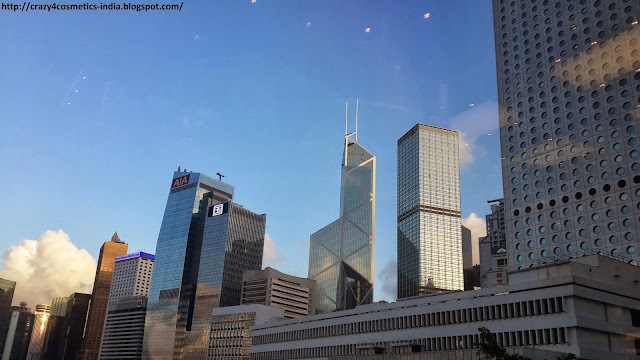 We took the MTR from Tsim Sha Tsui to Central and as soon as you exit the MTR station the first thing you notice is the remarkable change in the architecture of the buildings as compared to the Kowloon side, as beautiful skyscrapers dot the skyline to rival any city in the world. Obviously the 2 standout buildings are the IFC 1 and IFC 2 ( International Financial Center ) towers with IFC 2 having a huge mall and the famous Apple store. We did some window shopping and my husband spent time at the Apple store but we noticed that most of the goods were quite costly. But we did find time to take some beautiful snaps of Central. The next stop after Central was Causeway Bay and Times Square and we took a bus from outside the Central MTR station & headed towards Causeway Bay. You can also reach Causeway Bay by taking the MTR from Central. 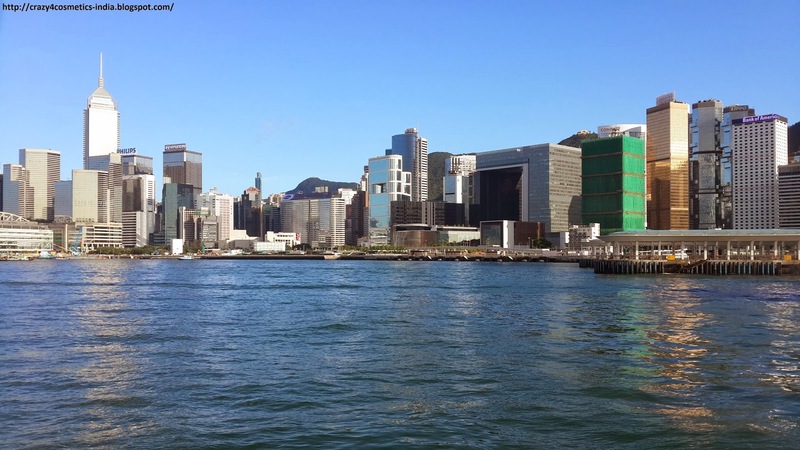 If you want to experience the Hongkong Tramways, trams travelling to/from Western Market, Kennedy Town, Shau Kei Wan, North Point and Causeway Bay stop on Yee Wo Street about 5 minutes walk from the Times Square. 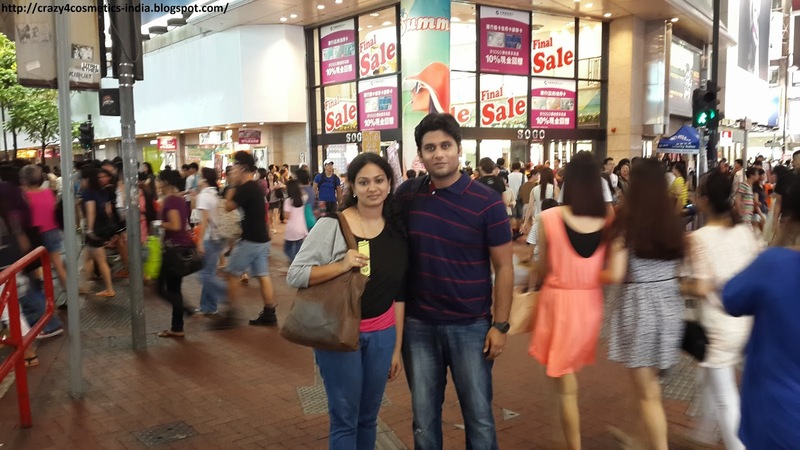 We first got down at Sogo Departmental Store Hongkong, which was considered as one of the better shopping centres in that locality that offers good deals. 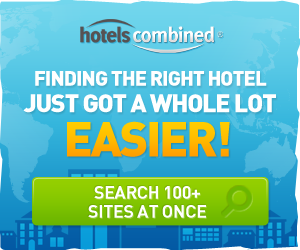 Unfortunately we really did not find many good deals when we visited, but however it was a great experience visiting the place. 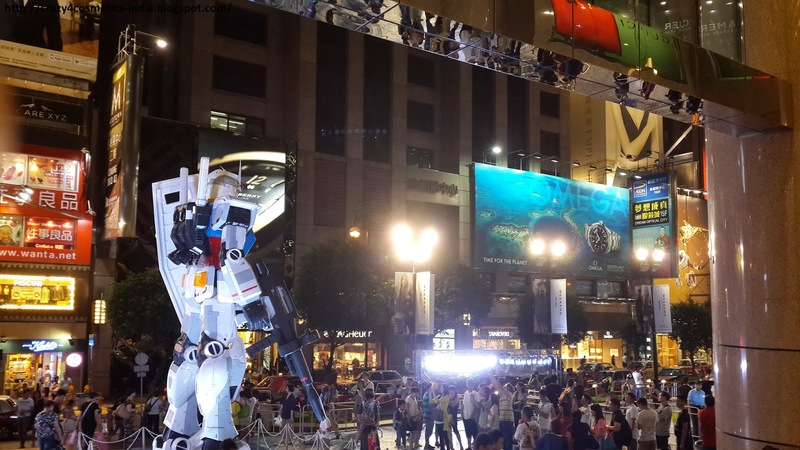 The famous Times Square mall Hongkong is just walking distance away from Sogo Departmental Store and the whole region is modeled around Times Square Newyork. 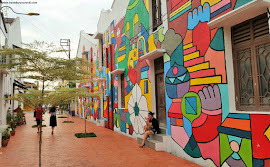 .Though it may not be as glitzy as the original version, the whole area is really abuzz and colorful with large number of shops along the sidewalk. There are also a variety of street food and juice shops that you probably would feel tempted to try. 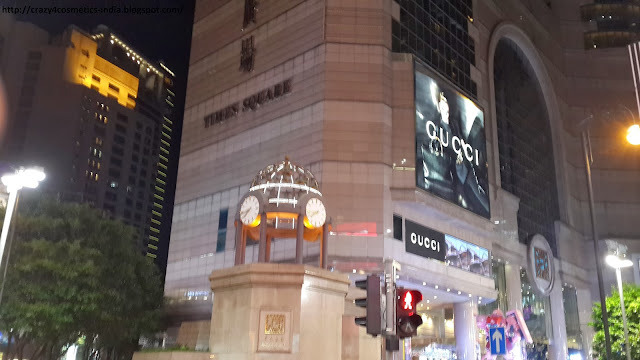 We visited the Times Square mall Hongkong where we had our dinner at the food court post which we did some cosmetic and dress shopping at the mall. And finally after a really long day we took the MTR back to our usual Jordan MTR station, headed back to the hotel drop dead tired and feeling really sad that we would be leaving this beautiful country the next day.